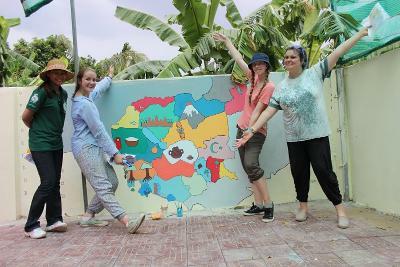 At Projects Abroad we pride ourselves on our flexibility and our ability to cater to our volunteers’ individual needs. We understand that you don’t want a one-size-fits-all experience – you want something that is right for you. We operate in 30 different countries around the globe and now offer over 1,000 different projects. Volunteers can choose programmes ranging from Building to Care, and Conservation to Human Rights in countries such as Ghana, Sri Lanka and Peru, to name but a few. The options with Projects Abroad really are endless. If that is not enough, we can always create new and individually designed placements using the resources and experience at our disposal, including tailor-made group trips. Whenever you arrive, at whatever time of the day or night, our staff will be waiting at the airport to meet you. Although most projects have a minimum duration of two or four weeks, you can choose to stay on the project for as long as you wish - and in most cases, we would say the longer the better! Our flexibility also allows you to combine projects or even combine destinations, to live and work with friends, and to work at the placement which inspires you the most. In the vast majority of cases you don’t need previous experience in order to take part. Decided you want to volunteer last minute? No problem! Give us a call on +44 (0) 1273 007230 to see how quickly we can arrange everything for you - depending on the project and destination, we can sometimes make a plan to get you signed up a little faster than usual. We’re also flexible when it comes to payment. All of our projects have a fee, depending on where you go and for how long. When you apply to join us, you only pay a deposit of £195 which comes off the total cost. The full balance is normally due 3 months before you travel, but you can pay it in instalments if you wish.